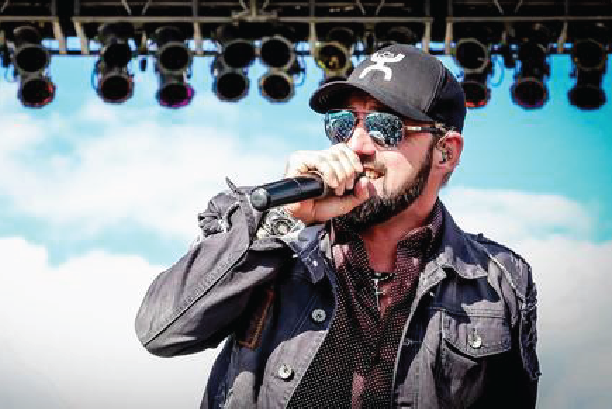 Chris Hawkey, the self-described luckiest man in the world, was born and raised In Union City, a small town that rests on the state-line that separates Ohio from Indiana. He spent his youth competing in a wide variety of sports while dreaming of seeing the world through the windows of a tour bus. Having joined his first band at the age of 15, Chris began his pursuit of “the dream” while still in high school, playing “every bar and city festival within a 100 mile radius”. After graduating from Mississinawa Valley High School, Chris attended a broadcasting school in Dayton, Ohio with the idea of pursuing a career in radio while continuing to chase his musical dreams. The radio business would take him from Ohio to Indiana to Virginia, and then to his current home state of Minnesota. It would also lead him to Kim, his wife of 22 years with whom he has two children, Alex and Abigail. As his broadcasting career flourished, Hawkey continued to perform with various bands on evenings and weekends while also releasing two well-received solo rock records in the early 2000s. Hawkey’s big radio break came late in 2001 when he was hired to co-host and produce the Powertrip Morning Show on sports giant KFAN Radio. During its 15 year run, the morning show has become the number one rated morning radio program in the Twin Cities and is now syndicated to multiple cities across the upper Midwest on the Fan Radio Network. The big music break came in the form of a phone call from an old friend in 2010. That phone call led to a run of hits and national acclaim as a member of the group Rocket Club. Hawkey was given the opportunity to sing on three songs that would spend time on the Billboard National Country charts. Those hits, and four full albums of other fantastic songs, would be heard by thousands of fans on stages all over the country as Rocket Club played concerts with some of the country music world’s biggest stars. 2015 saw the release of the CD “Country Underneath”, a powerhouse compilation of songs that would yield three radio hits including the nationally charting single “Favorite Song”. The run of shows supporting this second solo country release would last for 18 months and see the Chris Hawkey Band play to record crowds all over the United States as both headliner and direct support for Country Music Superstars. On October 1 2016, Chris Hawkey released the single “Good Liar”, a fantastic song written by country-music legend Brett James that found immediate radio airplay. The song was the first release from the forthcoming album “Shine”, which will be released in late 2016.